Trees in this gulch and adjacent Luahina Gulch has been surveyed and located. This is my second visit to these trees, first time was September 2010 . 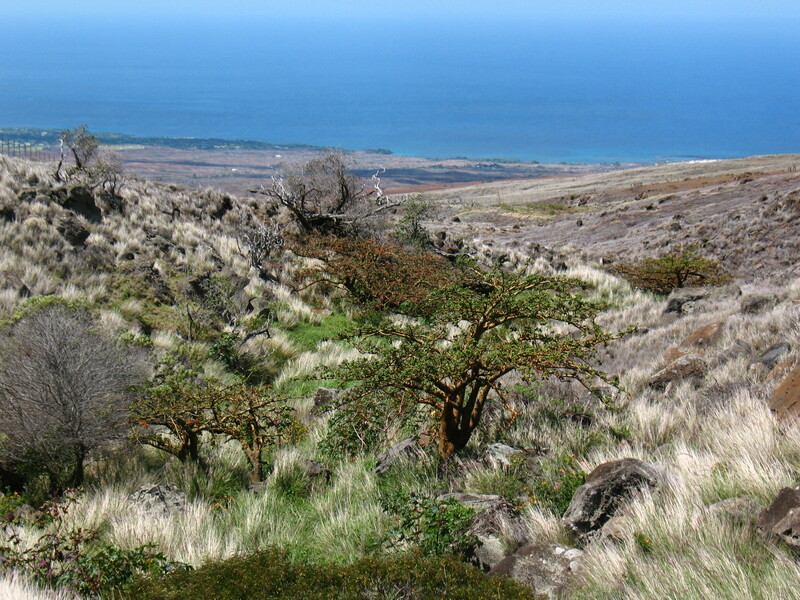 Both of these gulches are in the Kohala Watershed Partnership Pelekane Bay Restoration Project just north of Pu’u Kawaiwai. The trees are in a fenced area so they will have a better chance of producing offsprings. At this time 17 September 2012, the trees are starting to leaf and some are still flowering. We have had some rain in the area so the gulches are green with grown grass and vegetation. 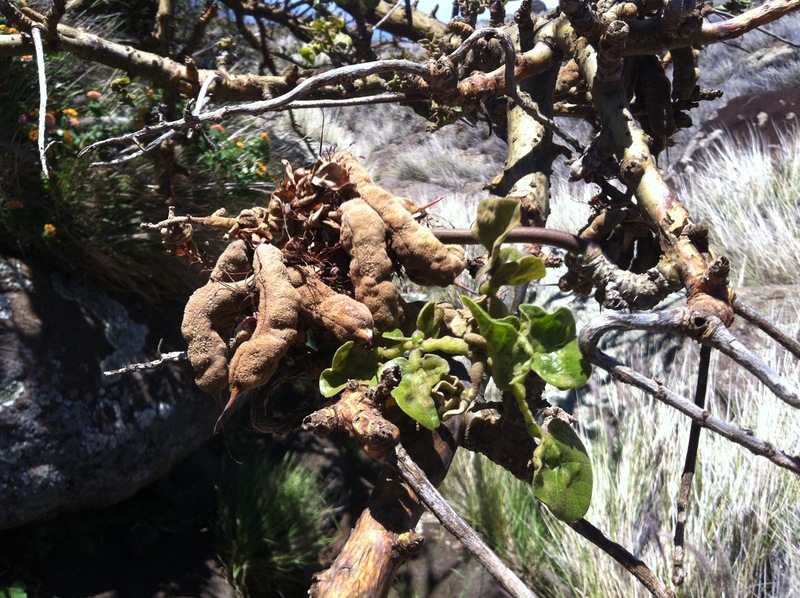 Trees at the upper part of the Waiakamali gulch which are deeper inside of the gulch are heavily infected by gall wasps. Some are 80-90% infected. Young leaves and leave stems and even seed pods are galled. I think that the wasps have recently include seed pods as host to lay eggs, either that or the larvae expand their appetite for seed pods. By contrast group of trees 50 yards away further down the gulch are fairing much better with minor galling and healthy seed pods. Seeds are also infected by bruchid beetle (Specularis impressithorax). Group of trees in more exposed areas are fairing much better with minor galling. I have a theory that due to high winds in more exposed areas trees out in the open are less frequented by gall wasps. Forty seven trees were counted. excluding very young plants planted by KWP. Oldest trees are 20-22″ diameter. Youngest are as small as 3″ diameter.